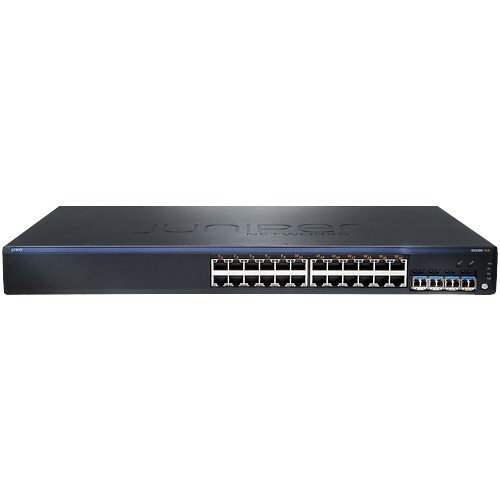 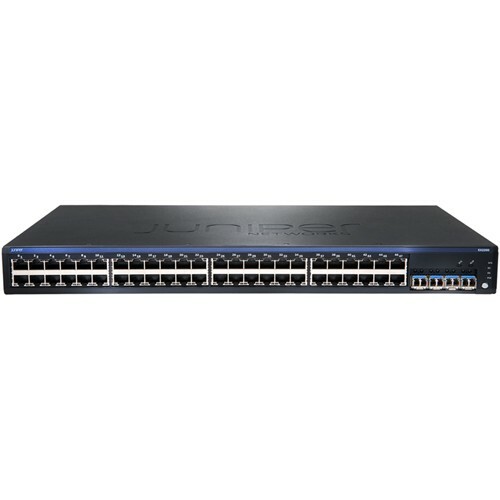 Featuring complete Layer 2 and basic Layer 3 switching capabilities, the Juniper Networks® EX2200 line of fixed configuration Ethernet switches satisfies the branch and low-density wiring closet connectivity requirements of today’s high-performance businesses. Four platform configurations are available offering 24 and 48 10/100/1000BASE-T ports with or without Power over Ethernet (PoE). 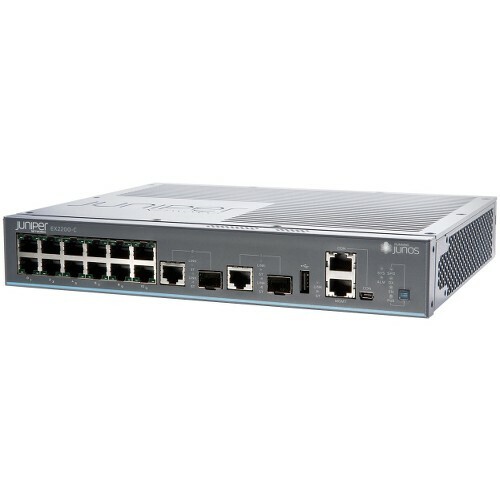 The PoE-enabled EX2200 models include a maximum system budget of 405W to deliver up to 15.4 watts of standards-based 802.3af Class 3 PoE on all ports for supporting networked devices such as telephones, video cameras, and wireless LAN (WLAN) access points in converged networks. 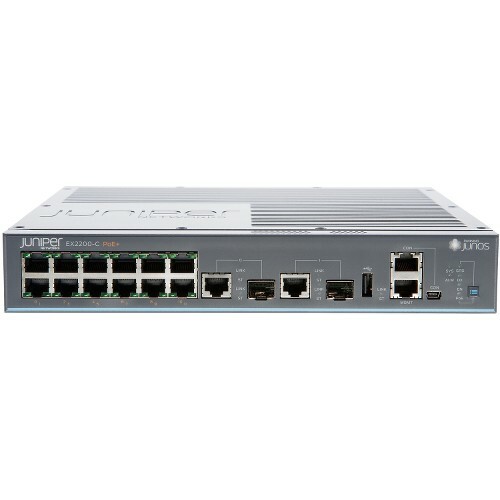 The EX2200 PoE-enabled switches are also capable of supporting standards-based 802.3at PoE+ for powering networked devices like multiple radio IEEE 802.11n wireless access points and video phones that may require more power than is available with IEEE 802.3af.